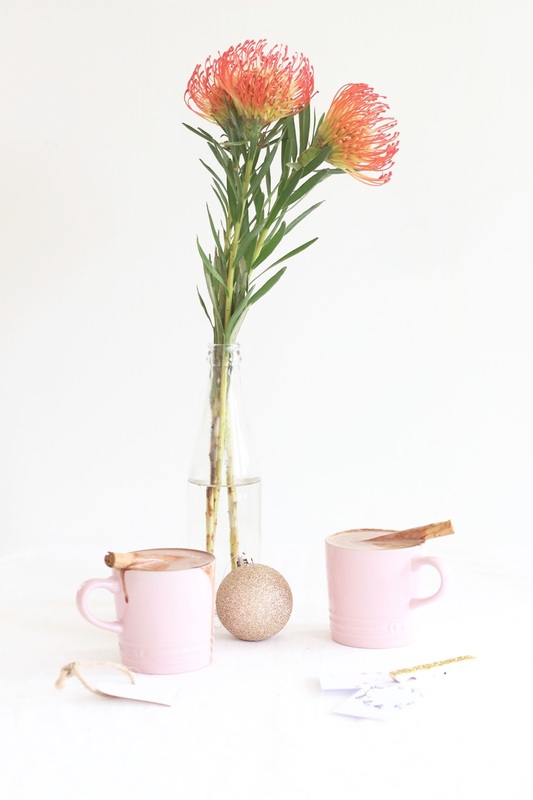 I'll never get a white Christmas here is South Africa, but when is hot cocoa ever a bad idea? 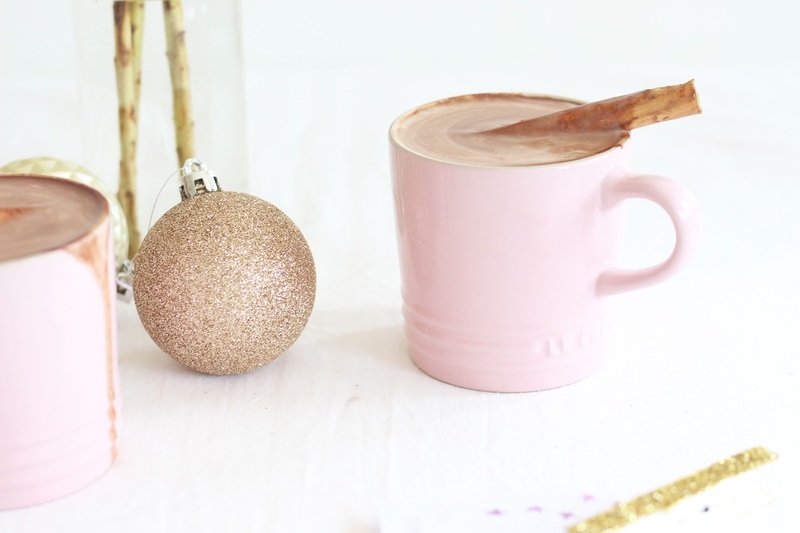 so although summer is in full swing here, I decided what the heck and made a Christmas inspired hot chocolate. 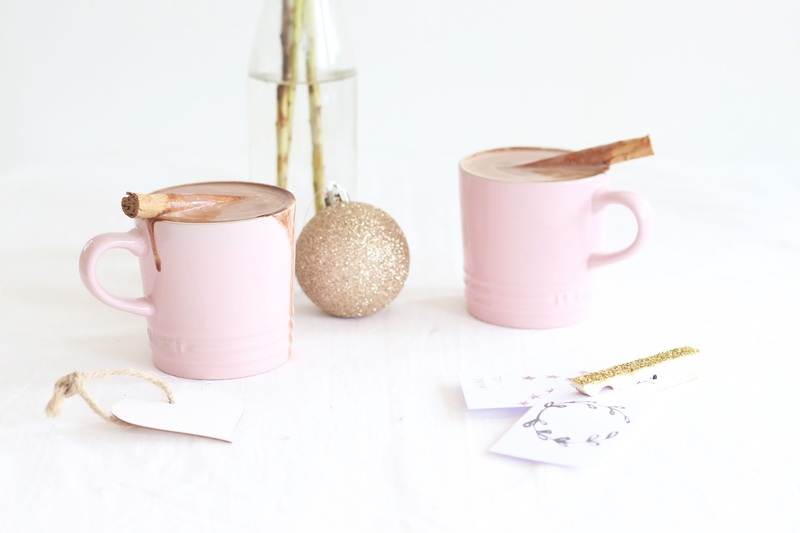 As if you needed another reason to make hot chocolate, this recipe is made with no refined sugar or dairy. So a healthy hot chocolate? Yes please. 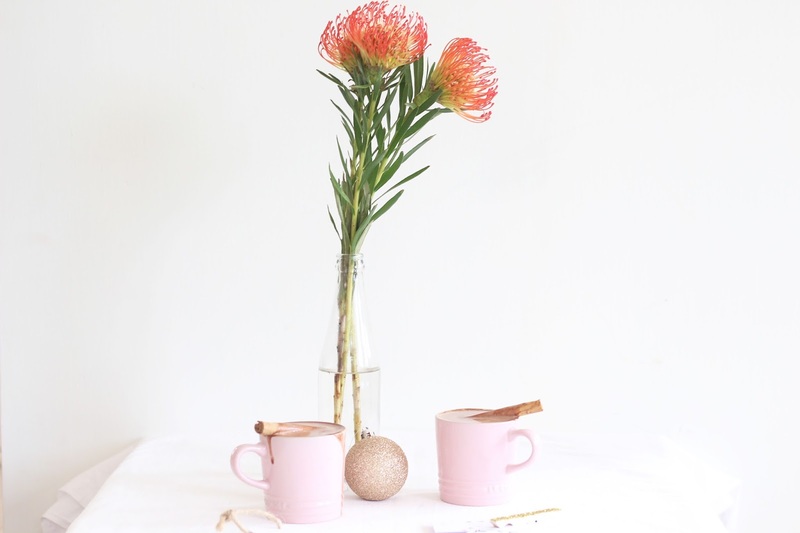 Almond milk makes quite a thick hot chocolate, so this drink is creamy, thick and warm from the mild spices. 1. Place the almond milk, water, spices and vanilla in a saucepan and bring it to the boil. 2. Turn the stove down to low and add in the chocolate, stir until the chocolate melts. Add in the maple syrup and cocoa powder. Keep stirring until the hot chocolate is your desired temperature. 3. Pour the hot cocoa into mugs. Stir in some whipped coconut cream. Decorate with cinnamon sticks.